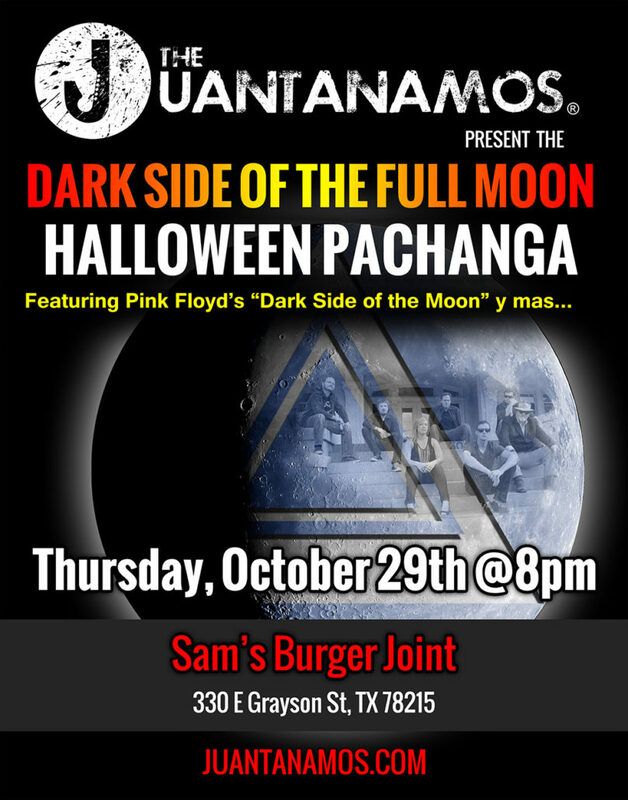 This Halloween, The Juantanamos are paying tribute to one of rock’s most iconic albums – Pink Floyd’s “Dark Side of the Moon” with their Halloween Pachanga on Thursday, October 29th at Sam’s Burger Joint. The show promises to be a unique visual and sonic experience you don’t want to miss. But what would make the band want to tackle such an ambitious goal? The band is also bringing in a few special guests to help them re-create the album as faithfully as possible. So what made them choose this album specifically? Immediately following their performance of “Dark Side of the Moon”, the Halloween Pachanga kicks into high gear as the band launches into a raucous hour of music meant to get the crowd on their feet and moving; featuring more special guest appearances. The Juantanamos wide array of influences will be on display, from classic rock to Motown, as well as a selection of songs from their debut CD “Ghost Tracks”…so be sure to bring your dancing shoes! Rockin’ Live In Alpine – POSTPONED The Sounds of San Antonio Invade ATX!